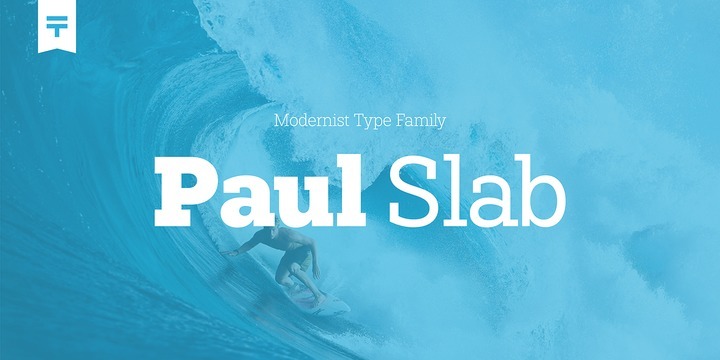 Paul Slab is a slab serif typeface created by Fargus Maiser together with Lukas Bischoff and published by artill which is available in 8 weights (from Thin to Black) and usefull OpenType features. This geometric font is ideal for advertising, editorial purpose, magazine, poster but also for web. Styles: Thin, UltraLight, Light, Regular, Medium, SemiBold, Bold, Black. A font description published on Friday, May 25th, 2018 in Artill, Fargus Maiser, Fonts, Lukas Bischoff by Alexandra that has 1,131 views.